East Greenbush Central School District’s Board of Education appointed Jeffrey Simons as its new superintendent of schools at this evening’s Budget Review Session at Citizen Genet Elementary School. Simons will start on July 1. The appointment followed an extensive search that began last fall. It included focus group interviews with students, teachers, administrators, staff, parents and community members to develop a leadership profile and selection criteria. Simons has been the superintendent at Rome City School District for the past nine years. His contract was renewed twice as he expanded co-curricular programs and enhanced the district’s professional development program. Simons also gained community support for three capital referendums totaling $92 million. Simons spent his first six years in education as an elementary school teacher. He has also been an elementary school principal (1999-2003), assistant superintendent for curriculum and instruction (2003-06) and deputy superintendent (2006-07), all at the Rome City School District. He has a bachelor’s degree in political science from the University at Albany and a master’s degree in educational administration from SUNY Oswego. Simons was one of six final candidates interviewed by the Board of Education and its search consultant. “The Board is confident in Mr. Simons’ leadership and dedication to establish a cooperative and supportive environment for the District staff, engage directly with the local communities, and build upon the positive trajectory of our students’ achievements,” said Board President Dr. Shay Harrison. 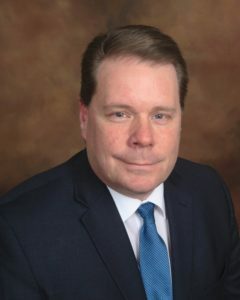 In East Greenbush, Simons will lead a District that has a 93% graduation rate and was ranked fourth in the Capital Region by the Albany Business Review last year. Simons has a three-year contract with a starting salary of $177,500.